The Albuquerque stop on Atreyu's In Our Wake Tour was definitely a memorable show. From an amazing crowd to super humble bands, it was one I won't soon forget. The night started off with security informing us that Atreyu never made it to the venue (an alleged bus breakdown), but all the openers decided that the show must go on. Sleep Signals was up first, and having never heard of them before, I had no idea what to expect. What we got was a totally independent band (no label, no management, everything done by the band themselves) who not only had a great stage presence and live performance, but made it a goal to really connect with the audience, going so far as hanging outside of the venue before doors opened to talk with people in line. Ice Nine Kills was next, and they were one of the reasons why this show was memorable. All members came out on stage wearing horror movie costumes. 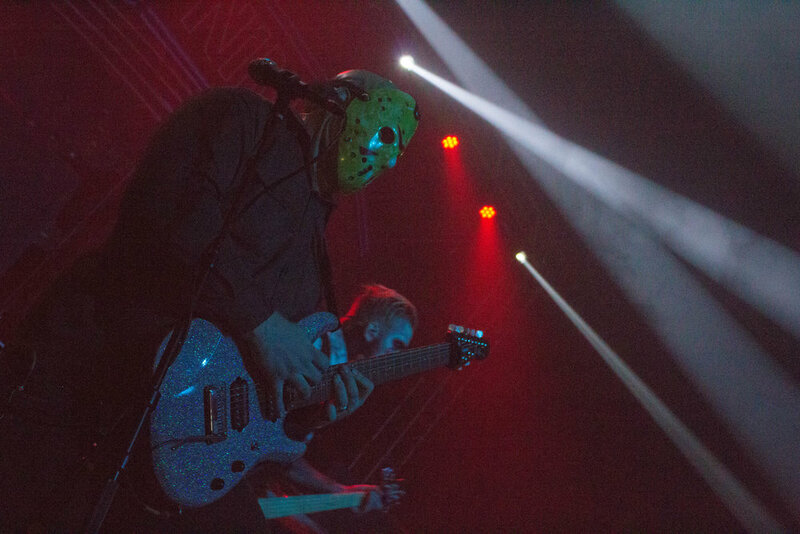 From Friday the 13th’s “Jason” to “Freddie Kruger “from Nightmare on Elm Street, the band’s theatrical performances and expressions were apt to their characters. The lead singer, Spencer Charnas, was crowd surfing back and forth, all while singing and screaming along with the crowd. Memphis May Fire became our openers for the night, and they took on that role very well. The lead singer, Matty Mullins, had great crowd interaction through the whole set and the band had a great sound overall, even with the absence of their usual sound tech. About halfway through the set, they brought a special guest on stage to sing part of a song: a local named Jayden who sang his part very well and seemed totally comfortable on stage. While this tour stop came without its headliner, the opening bands stepped it up and filled that gap very well. I would recommend anyone who is a fan of metalcore hit up a stop on this tour; the opening bands alone make the experience worth it, and I can't imagine what the show would've been like with Atreyu's presence added. The In Our Wake Tour continues to roll through the US until December 13th, and you can keep up and find more info on it here.